At his Evenfall Studios in Paradise, California, Rob Hanson had been producing top quality shooting boards, jigs, and shop fixtures for the past ten years. Rob is a craftsman, a businessman and a builder, and yet almost unimaginable destruction has entered his life. 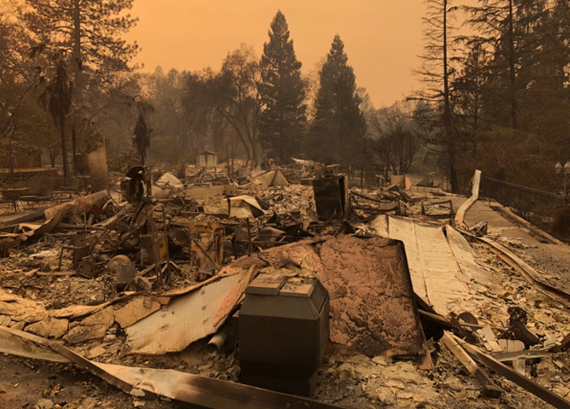 On November 8, his home and shop, 35 years in the making, were devastated by wildfire. The photo above is what is left of his home and shop. Rob has written accounts: leading up to the destruction, the aftermath, and how it is. Rob and his wife Kristy could really use your help. Dear Heartwood readers, please consider, on this Thanksgiving Day, helping them through this tough time by contributing via GoFundMe or Paypal. Every little bit will help in body and spirit. Let us all be grateful that we can build, and that we can also help others to build, and as life sometimes requires, rebuild. 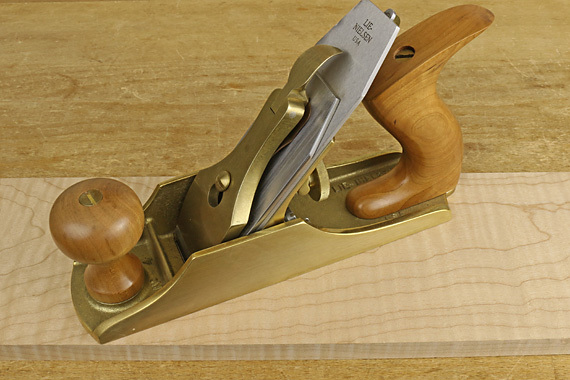 I will be teaching a class, Handplanes: Understanding, Using, and Tuning, this coming Sunday, November 4, 2018, 10:00AM – 3:00 PM, at the Woodcraft in Woburn, MA. Tuning your plane: blade edge camber for different uses, mouth opening, preparing and setting the chipbreaker, etc. Bring your plane if available, as this class will be hands-on as well as demonstration. If you have a plane in need of rehab, bring that too – I’ll choose one from the group and fix it up. Please call the store directly at 781-935-6414 to register, and see their website for the location and details. You’re welcome to email me directly with questions. It would be great to see you there! And the topic is: WOOD! You must understand wood to successfully make things out of it. I will present this 5-hour class at the Woodcraft in Walpole, MA (about 10 miles southwest of Boston) on Sunday, September 9, 2018 from 10:00AM – 3:30PM. You will be equipped with the practical knowledge to use wood intelligently to maximize the quality of your projects and avoid the pitfalls that lead to disappointment. In the woodworking instruction sphere, there are very few classes available on understanding wood, and most of those are small parts of much more extensive general woodworking courses. This freestanding, concise class is a great way to get the know-how you need. The store has an excellent teaching facility. Go to this link and scroll down to September 9 to get sign-up details. From log to board: Come to really understand grain and figure. Learn to astutely use figure to enhance your projects, especially curved work. Wood movement: We’ll cover practical understanding and applications, so this issue won’t catch you by surprise or riddle you with doubts. Try out pinless and pin moisture meters. Understand and see what really happens with resawing. How to buy and store wood. Spend wisely. How to spot and avoid defects in boards. Bring: your sharpened plane, card scraper, handsaw, and chisel/knife to make shavings and sawdust as you sample the working properties of 20 species of wood. And I promise, the learning will be fun! Available now is a new and bountiful collection of images of James Krenov’s work through many years, commentary on some of the pieces, videos, and other interesting materials. 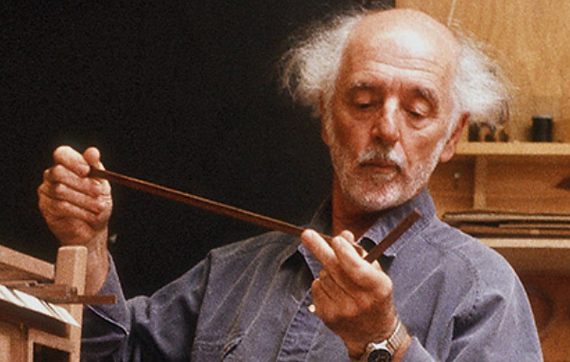 The Krenov Archive is an important component of The Krenov Foundation’s mission to continue the legacy of James Krenov, his values, approaches to woodworking, and teaching. It is largely the work of David Welter, co-founder of The Krenov Foundation and a staff member at Krenov’s school for many years, Dave Matthews, Krenov’s son-in-law, and Kevin Shea. The archive will grow significantly beyond the rollout, so stay tuned. Those familiar with the master’s work can better appreciate its breadth and further their insight by exploring the archive. I know Krenov’s books exhaustively, yet I’ve found plenty of valuable and interesting material to study in the archive. I particularly enjoy seeing the drawings and construction process photos. Those woodworkers and anyone who appreciates the craft who are new to all that is JK will also undoubtedly find this resource exciting and enriching. Please consider supporting the Krenov Foundation. 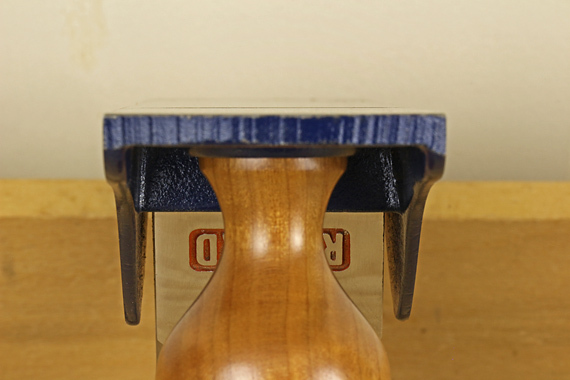 Read here on Heartwood for one easy way that I’d bet just about any woodworker can do! Your help will directly support and encourage young woodworkers in their journey in the craft we love. Ultimately, the fruition of their efforts will give more people the opportunity to experience the “quiet joy” of work “from wakened hands.” And that, dear readers of Heartwood, is a very good thing in a too noisy world. Do woodworkers still need books? Hell yeah. I just viewed a video (ironically) in which Mark Spagnuolo, the Wood Whisperer, delivers in his usual engaging manner, an excellent perspective on the role of books in learning woodworking. YouTube, he advises, is best used as a supplement to books. 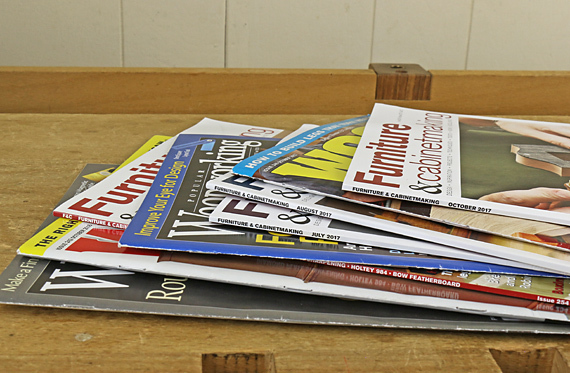 Mark is a prolific video producer, so his admonition to continue to use books as the pillar of learning woodworking carries a lot of weight. I agree wholeheartedly. Explaining a woodworking concept by talking it through in a class or video is quite different than explaining it in writing. I may perform a process in the shop, maybe for countless times over many years, and later work through it in my mind to prepare to write about it. Then however, writing about it demands particular precision and clarity, even if accompanied by step photos such as for a magazine article. There is no video to help. The reader benefits from what is hopefully a honed and polished written product. Similarly, reading and video watching are also different. Of course, video has the obvious advantage of seeing a process happen. Reading, however, gives you a chance to pace your mind, and to make sense of the material and absorb it. In particular, the breadth of a book allows you to see relationships among the material that you are unlikely to realize by only viewing videos. 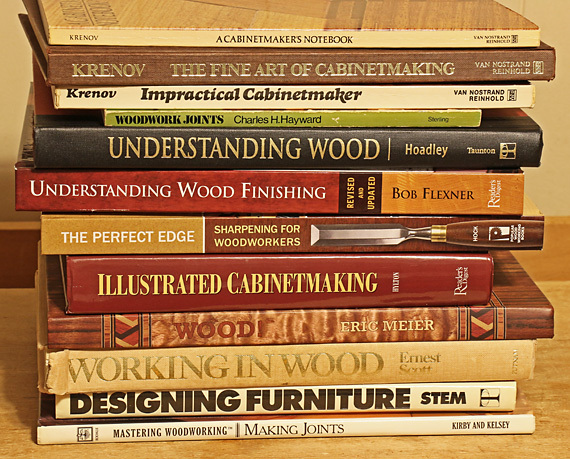 So then, here are my favorite woodworking books. I have mentioned most of these elsewhere in this blog, but I hope this summary is helpful for readers. 1- The Krenov trilogy: A Cabinetmaker’s Notebook, The Fine Art of Cabinetmaking, Impractical Cabinetmaker. 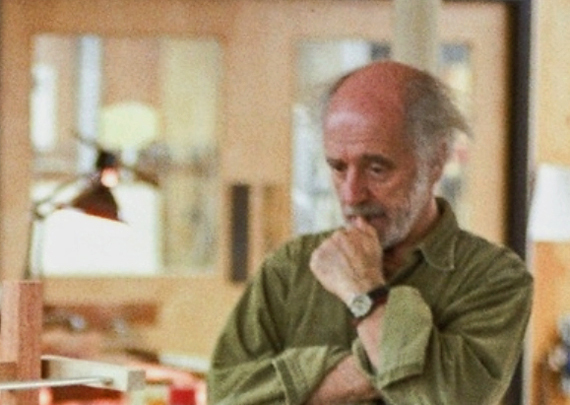 JK was a unique inspiring voice for so many woodworkers. 2- Woodwork Joints, Charles Hayward. 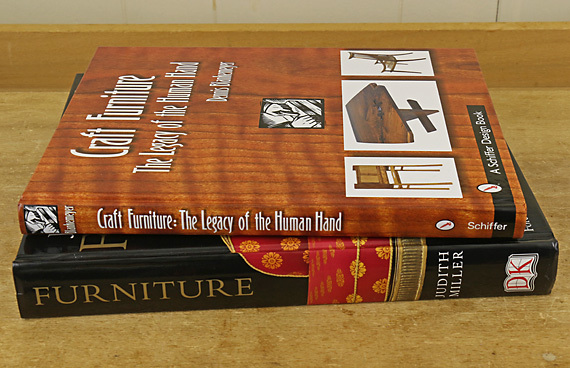 Ounce for ounce, in paperback, maybe the best woodworking book of all time. 3- Understanding Wood, Bruce Hoadley. How can you even get near a piece of wood without this knowledge? 4- Understanding Wood Finishing, Bob Flexner. I still say that Flexner is the best explainer in all of woodworking. 5- The Perfect Edge, Ron Hock. There is good competition but I think this is the best book on sharpening. 6- Illustrated Cabinetmaking, Bill Hylton. When you have an idea for a project but you’re wondering, “How do I build that?” consult this encyclopedic review of construction options. 7- Wood, Eric Meier. As good a reason as you’ll find for printed books to continue to exist! Informative and joyful. 8- Working in Wood, Ernest Scott. It has its imperfections, but this was an enormous help to me more than 35 years ago, along with Hayward’s book. I still find them helpful. 9- Designing Furniture, Seth Stem. Despite using mostly ugly examples, this book teaches design very systematically and well. 10- Making Joints, Ian Kirby. A marvelously clear thinker and explainer. Kirby is an underappreciated author in the woodworking world, in my opinion. 11- In a category of its own, not only because it is available free online, is The US Forest Products Laboratory’s Wood Handbook. Visit the US Forest Products Laboratory site and enter “wood handbook” in the search box. Also, let’s not forget the magazines. They remain excellent sources of high-quality information. One of the best ways to develop your design skills is to look thoughtfully at lots of furniture, including unfamiliar work. Books and collections that organize work in historical and stylistic context are especially helpful learning tools. Here are two books that are both worthwhile but differ greatly in approach. Done in the beautiful and orderly style typical of DK Publishing, the more than 500 pages will supply you with plenty of browsing hours. It is organized primarily by time period, for example 1760-1800, then by country and style, for example late 18th century Scandinavian. I like best the several sections within each time period that are devoted to specific furniture types, which allow you to study, for example, tables in the Art Deco period of 1919-1940. Even though anything I design and make is unlikely to directly emulate more than a few, if any, of the pieces in this book, there are lots of stimulating ideas, motifs to borrow, and much to learn just from studying a wide variety of good design. That’s the good part of the book. Now for the bad and the ugly. It is painful enough just to look at much of the furniture in the “Postmodern and Contemporary – 1970 Onward” chapter, but it is exacerbated by reading the highbrow credibility given by the author to some of this crap. Administer relief to yourself from such nonsense by picking up Craft Furniture by Dennis Blankemeyer (Schiffer Publishing, 2003). The author does an outstanding job of placing this work in the context of our daily lives and, more broadly, in our spiritual lives. He also gives fitting tribute to craftsmanship. After sections on Esherick, Krenov, Maloof, and Nakashima, he presents the work and background of 25 contemporary craftspeople. There is so much beautiful, honest woodwork here; I think readers are sure to find it inspirational. I suspect this book has not gotten the attention that it deserves. It is available in only hardcover from Amazon and Barnes and Noble. Resolving the different vantage points of these two authors is a matter for another day. I’d rather get back to the shop. A good woodworker must know a lot about wood. Unlike glass, clay, and metal, wood is a product of biology and so, wonderfully, comes to us in incredible variety. No project is likely to be successful unless the properties of the species and even the particular boards at hand are taken into account. 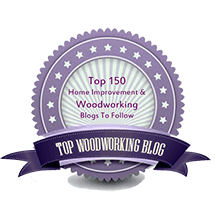 To that end, here is a compendium of the best resources, in this writer’s view, for woodworkers to increase their practical knowledge of wood. An easy choice for the premier book is the venerable Understanding Wood by R. Bruce Hoadley. First published in 1980 and revised in 2000, this is the book every woodworker needs to understand wood anatomy, strength, dimensional changes related to moisture content, drying wood, and much more. For information on specific species along with color photographs, plus a concise exposition of basic wood concepts, the newly published Wood! by Eric Meier is the best choice available. It has major entries for about 250 species plus about 100 more covered in tables and lists. This book rises above several other similar attempts in that it is truly directed at the hands-on woodworker. In the same vein but with greater depth are 22 incomparable articles written by the late Jon Arno for Fine Woodworking magazine. Covered are: ashes, basswood, beech, birches, catalpa, cherry (two articles), chestnut, hickory and pecan, ipe, mahogany, maples, oaks, orchard woods, pine, poplars, sassafras, sweetgum, sycamore, and walnut, plus articles on health risks associated with wood and wood identification. Go to the Fine Woodworking website and search Jon Arno. You can get full access to everything in the site (and download PDFs of articles) for reasonable fees. 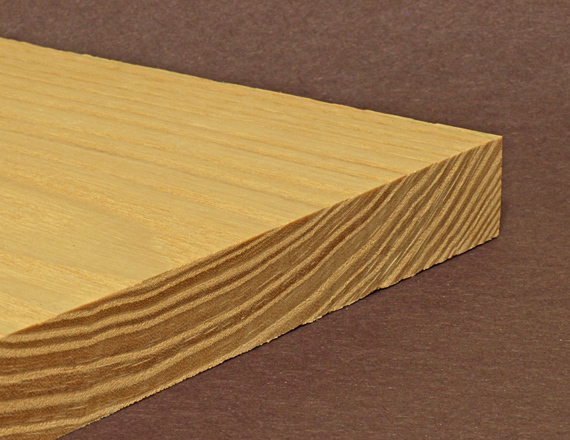 The Wood Handbook (sometimes titled in print as the Encyclopedia of Wood), published by the US Forest Products Laboratory, has a wealth of technical information on all wood matters. Best used as a reference, there is no reason not to have this book: it is available as a free download from the FPL site. It is also available in print. With the Grain: A Craftsman’s Guide to Understanding Wood, by Christian Becksvoort, published in a low-key but appealing style by the Lost Art Press, is a very good, very readable option to get just about all the basic information in concise form from a great woodworker who really knows wood. Highly recommended. Wood: Identification & Use, by Terry Porter, is a beautiful, very worthwhile collection of photos and information on more than 200 species with an additional 200 briefly listed. Though I find it more attractively produced than Wood!, it lacks the latter’s outstanding practical utility. Getting the Most From Your Wood Buying Bucks, from American Woodworker, is less broad in scope but is included here for its excellent practical articles. Forest Products Laboratory’s Tech Sheets (see lower right of linked page) give detailed information on many domestic and exotic species. 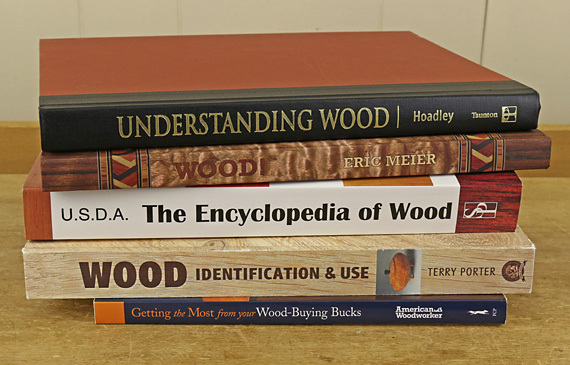 The Wood Database, by the author of Wood!, should be bookmarked by all woodworkers. Go there and you’ll see what I mean; it’s invaluable. For true-to-life photos of wood, numbering approximately one zillion, Hobbit House has no equal. This is a great reference to see the different looks within a single species of wood. A series of monographs on domestic species by Purdue University professor Daniel L. Cassens is available as free downloads (page down the linked page to the species list). These articles also have the flavor of being written by a guy with sawdust in his pockets. With all this knowledge of wood, one of the most useful ways to put it to use in the shop is with Lee Valley’s Wood Movement Reference Guide. This handy wheel chart allows you to easily compute wood movement for different species through a specified range of humidity. Well worth the $9.95, I use it all the time. When you’re looking for wood (and when are you not, if you love the stuff like I do), the Wood Finder site can widen your world of sources. Some much wood, so little time . . . If you are not already familiar with the Wood Database, I urge you to visit the site and bookmark it because you will return often, as I do. In fact, you may find it hard to leave this magnificent collection of practical information and data on hundreds of species of wood accompanied by high quality images of each. It is not an armchair xylophile’s catalog but rather a go-to resource for people who not only love wood but also love cutting it into pieces and making stuff from it. 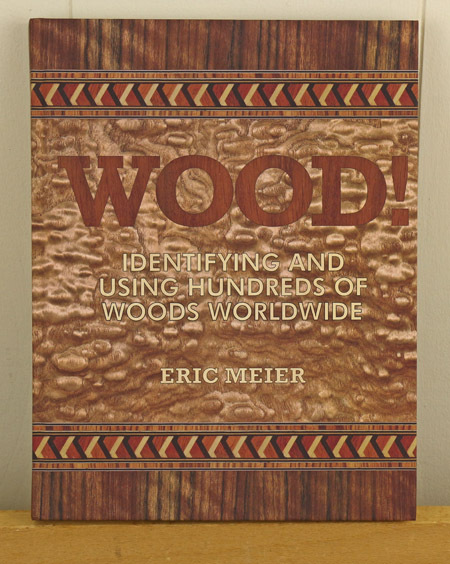 In addition to the species information, there are many insightful articles that reflect Eric’s deep, hands-on understanding of wood. Now to the book. Eric’s goal was to make a book that would serve the real needs of woodworkers. He has succeeded impressively. In its highly accessible combination of wood science with practical, reliable information and images for hundreds of wood species that is directly usable by woodworkers, I believe this book is unique. The first five chapters concisely cover wood basics, wood and moisture, identifying wood, and softwood and hardwood anatomy. Whether as new material or for review and reference, this is core information that will make you a better woodworker. It is presented clearly and intelligently. The heart of the book is information, data, and images of about 250 wood species, designed to help woodworkers knowledgeably work wood. Among the data included are hardness, strength, and shrinkage properties. The consistently derived density values are the most useful I have seen. Having worked more than 50 of the species listed, I can attest to the remarkable veracity of the author’s comments on the workability of these species. There are also helpful tables on groups of similar woods, such the oaks, maples, and ashes. The species are wisely listed alphabetically by genus but the index effectively cross-references common names. As minor criticisms, many of the photos are a bit dark to my eye though they still give a good sense of the real appearance of the woods. The book is attractive and very easy to navigate but I would differ on some of the layout aesthetics. Wood!, the book, is very similar to the Wood Database website, so you might wonder if it’s worth buying. Yes! It is very much worth it, in my opinion. You can joyfully browse the book as you conjure your next project in a way that roaming a website cannot match. Moreover, the book is just an outright joy that you’ll have trouble putting down. And I really like the dedication page.